An extraordinary story of a girl, her grandfather and one of nature's most mysterious and beguiling creatures: the honeybee. Meredith May recalls the first time a honeybee crawled on her arm. She was five years old, her parents had recently split and suddenly she found herself in the care of her grandfather, an eccentric beekeeper who made honey in a rusty old military bus in the yard. That first close encounter was at once terrifying and exhilarating for May, and in that moment she discovered that everything she needed to know about life and family was right before her eyes, in the secret world of bees.May turned to her grandfather and the art of beekeeping as an escape from her troubled reality. Her mother had receded into a volatile cycle of neurosis and despair and spent most days locked away in the bedroom. It was during this pivotal time in May's childhood that she learned to take care of herself, forged an unbreakable bond with her grandfather and opened her eyes to the magic and wisdom of nature.The bees became a guiding force in May's life, teaching her about family and community, loyalty and survival, and the unequivocal relationship between a mother and her child. 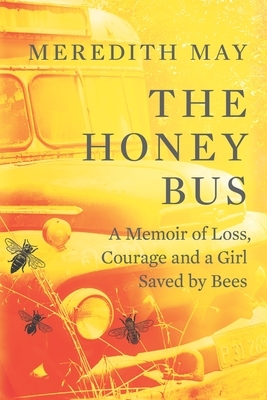 Part memoir, part beekeeping odyssey, The Honey Bus is an unforgettable story about finding home in the most unusual of places and how a tiny, little-understood insect could save a life.